Fate played a cruel trick on the natives of Fiji. The islands emerged from appalling inter-tribal wars in 1874, hopeful of a peaceful and prosperous future under British colonial governance, only to immediately suffer the loss of entire tribes – wiped out not by war, but measles. 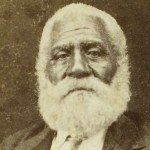 In October 1874, Fijian chief Ratu Cakobau was persuaded to voyage to Australia on HMS Dido for an official state visit to the governor of New South Wales. Cases of measles had just started in the city of Sydney and Cakobau and his entourage caught the disease. With attentive nursing care, they had all more or less recovered by the time they landed back home in January 1875 and the newly posted British authorities did not deem it necessary to impose any quarantine restrictions. A week later, the islanders began to be struck down with what was for them a mysterious new disease. Despite the protestations of British administrators, the suspicions of the hill tribes that they were the victims of sorcery and that the British had taken Cakobau to Sydney with the specific intention of poisoning him could not be allayed. The increasingly hostile islanders refused all conventional measles treatment and attempted to allay their fever by bathing in icy rivers, laying themselves open to the aH-too-common secondary complications of a disease against which they had in any case no natural immunity. The outbreak coincided with a spell of appalling weather: howling gales did nothing to help weakened immune systems stave off serious illness. The epidemic was the worst disaster in Fiji’s history. In the end the British government blamed the tragedy on the ship’s doctor and the captain of HMS Dido for failing to put their passengers into quarantine. But, whoever was to blame, it was too late for the Fiji islanders. You should know: Measles is a highly contagious viral disease of the respiratory system with accompanying symptoms of high fever and rash. An otherwise healthy person is unlikely to be seriously ill but it can be very serious indeed for anyone whose immune system is already compromised by malnourishment, leading to secondary complications such as pneumonia or encephalitis and, all too often, death or permanent disability.